step by step instructional video yet? Bed Bug Barrier Testimonial – Coomera 4209. We found this to be the best product for ridding bed bugs in our home. After a prolonged effort and at our wits end I was about to throw all the mattresses at the tip. Thankfully Bed Bug Barrier worked like a charm. No more mites, no more bites!! 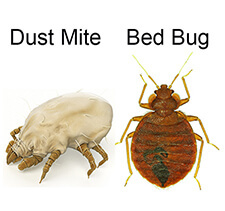 Bed Bugs or Dust Mites – What are the 4 most common differences? Bed Bugs in Computers – How Did They Get There?